Graham Brothers owns four LeTourneau Super C Tournapulls. Two, one each from 1940 and 1941, were on hand at the show. 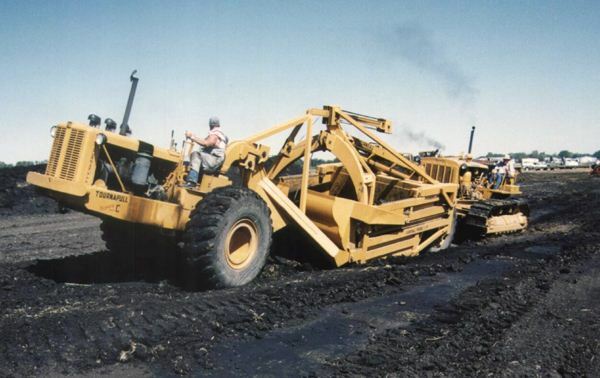 Graham’s 1945 Cat D8 provides a shove to one.